A new type of solar panel component, developed by California-based solar company BioSolar, is made from a material derived from cotton and castor beans. Called BioSolar Backsheets, these products are non-toxic, more durable and less expensive to make than their petroleum-based counterparts. Bio-based solar backsheets won USDA BioPreferred Certification and are now available for commercial purchase. 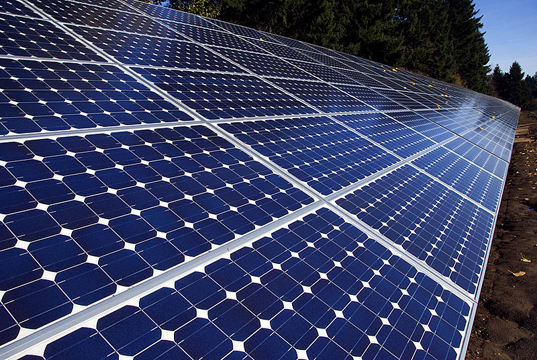 The top layer of a solar cell is usually made from glass and non bio-based polymers. The new backsheet is a transparent bio-based composite meant to replace this layer and reduce the production cost of solar modules. Cotton is used to provide tough cellulosic fibers, while castor beans contribute resin, which is further processed to create a polyamide similar to nylon. The result is a material that is cheaper to manufacture and is free of toxic industrial solvents. The bio-backsheets have a high degree of thermal conductivity — a quality that helps extend the lifespan of solar panels. 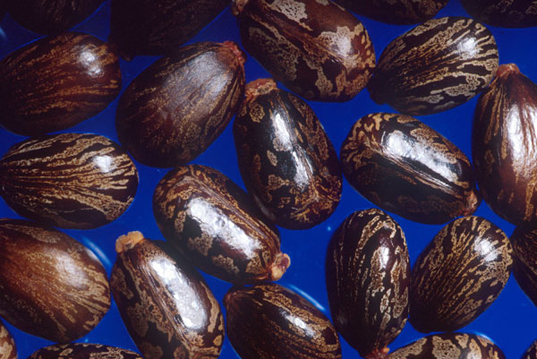 There are some concerns regarding the use of castor beans in the solar industry. Not only are they toxic to humans and provoke severe allergic reaction during processing, they are also rarely grown in the U.S. Due to their viability as an environmentally-friendly alternative to petroleum, researchers are currently working on making castor beans less toxic. caster beans? isnt that how they make riacin? that cant be safe to manufacture ! I'm guessing they're made from GM cotton though.